The most common type of window, double-hung windows consist of two sashes that slide up and down. WASCO’s double-hung replacement windows tip out for easy cleaning, and offer well-engineered reinforcement for strength without heat loss, as well as security locks and sash locks for safe, natural ventilation. Double hung replacement windows add beauty inside and out. Double-hung replacement windows consist of two sashes that slide up and down. WASCO’s double-hung replacement windows tip out for easy cleaning, and offer well-engineered reinforcement for strength without heat loss, as well as security locks and sash locks for safe, natural ventilation. Replacement windows can be installed leaving the original jambs, header and sill, or as a complete tear-out. Wasco’s Premium (System 700) double-hung and double-slider window design provides long-lasting and trouble-free elegance for residential and light commercial replacement applications. The system is available in white or beige PVC, and can be laminated with solid color or woodgrain foils. A lot has changed in the window market over the last decade. More stringent energy and building codes coupled with increasing expectations about what windows can – and must – deliver, have changed the game. Reinforced handles and meeting rail. 7/8 in (22 mm)dual pane and 1 in (25 mm) triple pane (coming 2014) glazing options provide excellent acoustical and energy performance properties. Cardinal glass and warm edge spacers (SuperSpacer on dual pane, Cardinal XL-Edge on triple pane) create superior insulated glass. Main profiles engineered with multiple chambers increase strength and energy performance while allowing efficient water drainage. 3 1/4 in (83 mm) frame depth with internal/external accessory grooves suits a wide range of installation applications by using supplemental profiles for trims, mulling options and unique wall construction. 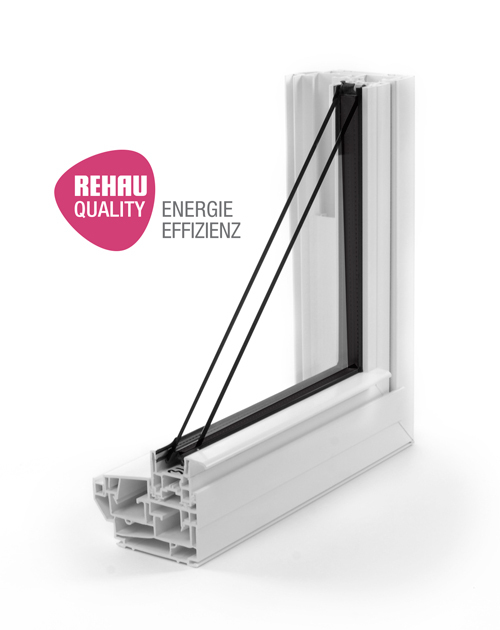 REHAU RAU-PVC material has superior surface finish and higher amounts of titanium dioxide for uv resistance. Slider windows are two sashes that slide over one another to open either side, and are an economical option for large openings. Slider windows are durable windows with minimal framing for optimal views. An economical option for large openings, they cannot match the air infiltration or thermal performance of casement windows or Tilt & Turns. WASCO’s Premium System 700 double-slider window design provides long-lasting and trouble-free elegance for residential and light commercial replacement applications. The system is available in white or beige PVC, and can be laminated with solid color or woodgrain foils.